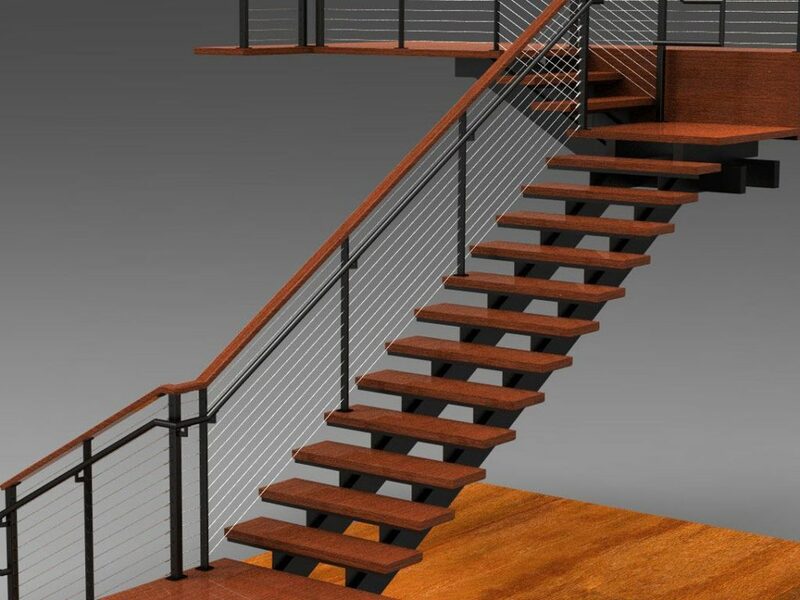 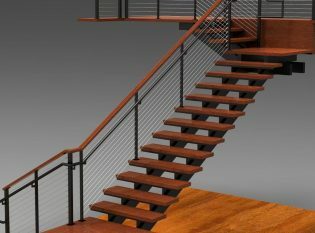 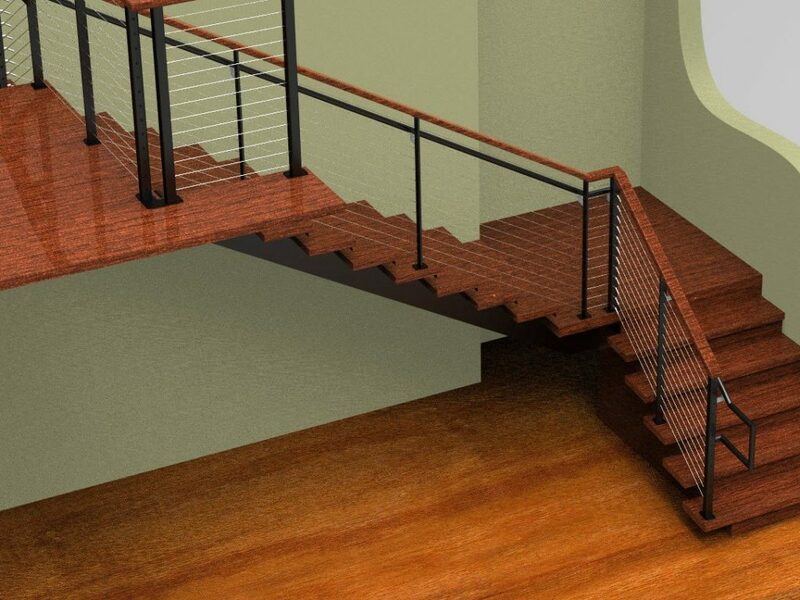 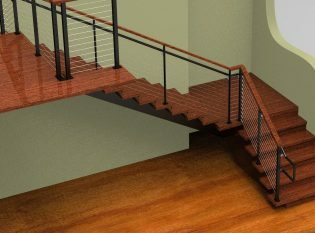 Description: Ithaca Style cable railing and ADA compliant graspable hand rails. 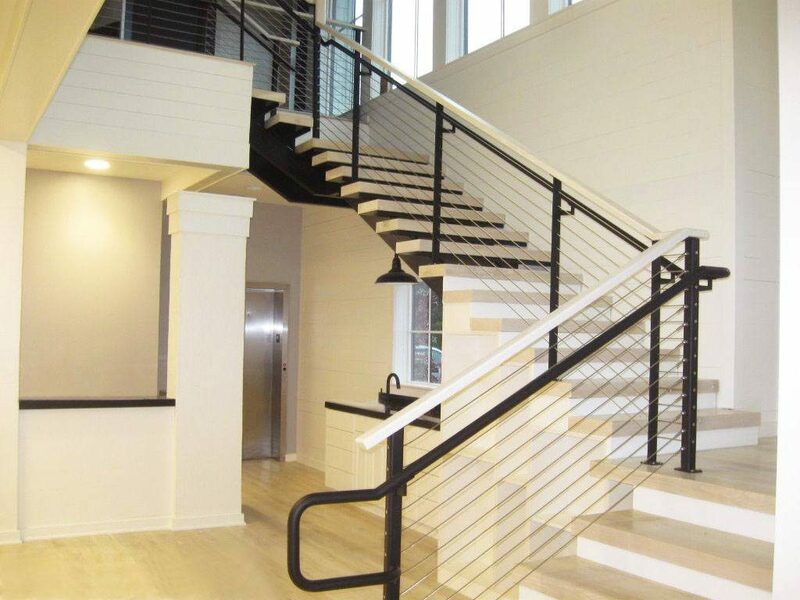 Our client at Frigo Orthodontics wanted a clean and simple staircase railing to complement the modern design of their office’s lobby. 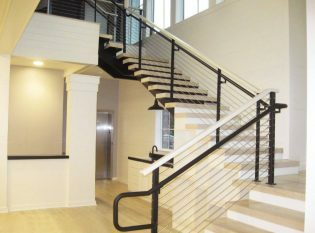 To maintain the lobby’s open and airy feel, they chose our Ithaca Style cable railing for the floating staircase. 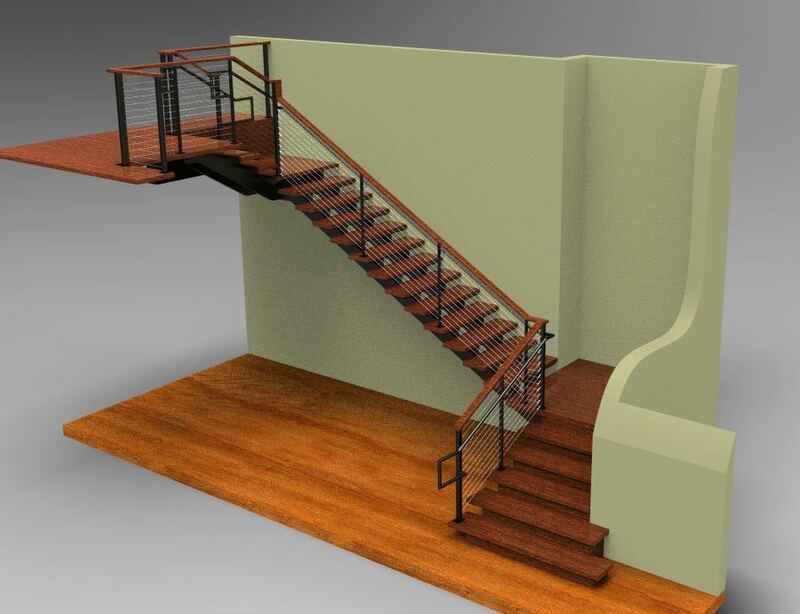 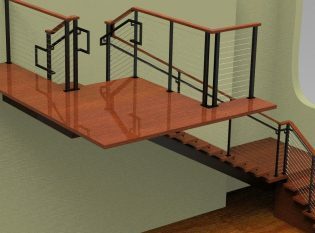 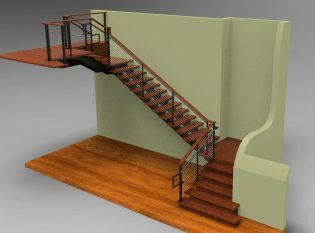 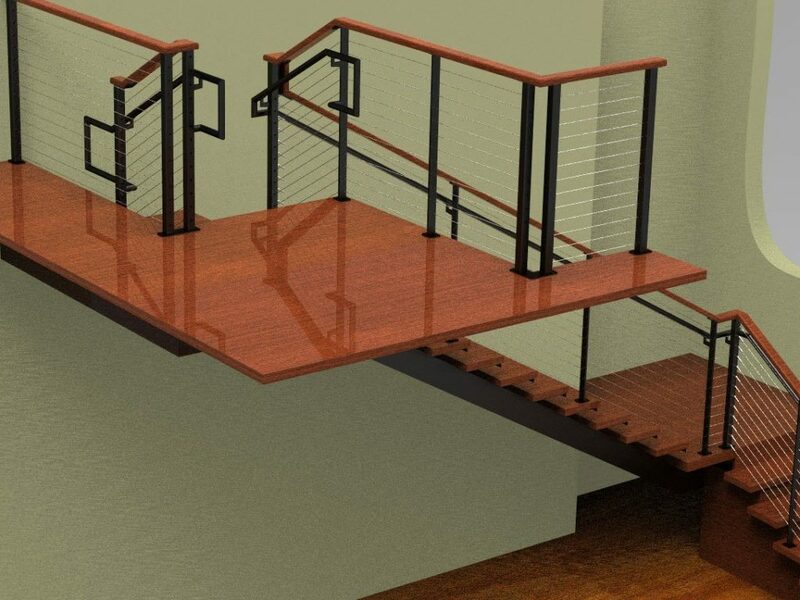 Keuka Studios fabricated a railing system with an ADA compliant graspable handrail, black powder-coated steel railing posts, and a wood top rail.